I am leaving Jindabyne after 18 years and would like to say goodbye to all my fly fishing buddies. Thanks to the crew at Alpine Angler and a special Thankyou to NSW fisheries for all my lovely toys, especially Mr Sam Crocker, their " dad". Don't breathe too easy fish, am only moving to Canberra !! 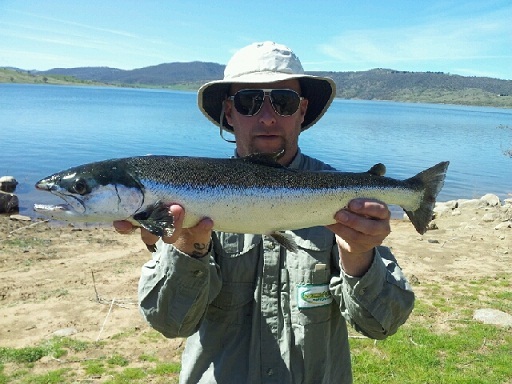 7pd Brown trout caught at Jindy on the weekend trolling with a Rapala. Did someone say it was spring we had the best snowfall for 2012 last week everyone that came to visit had snow on arrival and beautiful weather by the end of the weekend. 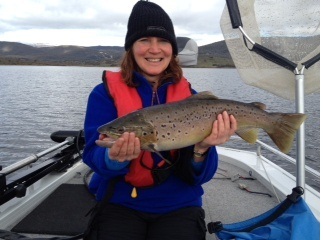 Over the last few weeks we have seen some nice size browns been caught. Scrub worms are doing very well from the bank Emily Cooney caught a nice brown 64cm weighing in at 2.74kg (I have a photo attached). Also from the bank power bait chunky cheese and sherbert were the flavours catching mainly rainbows. Trolling is picking up Tassie Devil no 48 was definitely the favourite for the week and some of the yellow wing as well there were a lot of browns caught some up to 6lb. 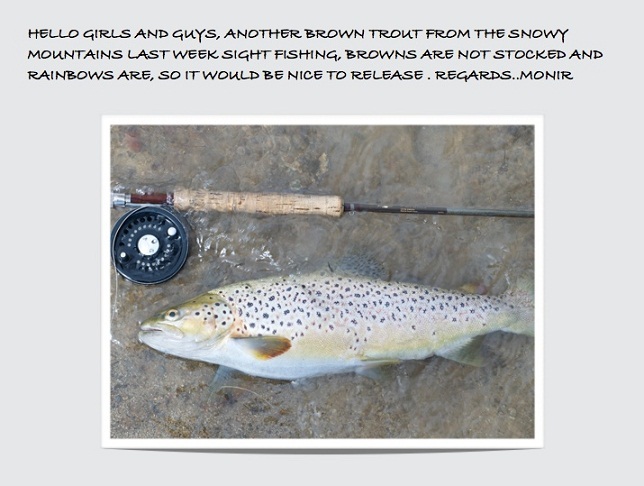 Spinning blades was successful a 7lb brown was caught just below the boat ramp. Haven’t heard too much with fly fishing but with the warmer weather coming up I am sure we will see a lot more of them.